October 13, 2017 by Chris Harrison & filed under . 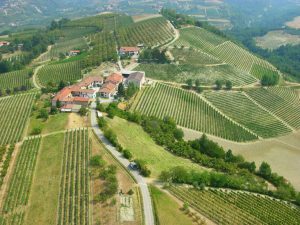 The history of our vineyards is the history of our family, the Marencos, strongly rooted in Dogliani, a hamlet of the Langhe territory which has ever been bound to wine. Our long peasant tradition of devotion to the ground has never stopped starting from my great-grandfather Francesco to grandfather Luigi, my parents Aldo and Bruna as well as myself Claudio. the research for the best position of vineyards and the ongoing care of the vine-rows, without involving any kind of coercions or polluting treatments. Thanks to this innovative approach, already in 1991 we were among the first producers to be awarded with the Organic Competence Certification which is nowadays released by Bioagricert. At present, our vineyard stretches out on 25 hectares of land whereof 12 are dedicated to the wine blends (Dolcetto, Barbera, Nebbiolo, Nascetta, Merlot) in the subarea “Madonna delle Grazie”, at an average height of 400-500 meters above the sea level. From our vineyards we obtain tasteful, genuine, fragrant and delicious wines that deserve to be discovered. All of them bear a designation of origin and are labelled with the same names of their vineyards. On the whole we produce 70-80.000 bottles per year. 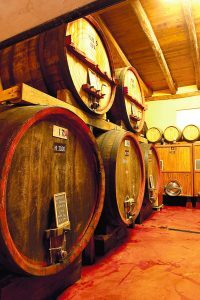 They are all carefully checked in the cellar and allocated to a selected market made of importers, restaurants, wine shops, wine bars, specialized shops and private consumers in Italy and around the world.